First on my list is USD/CAD. It seems that the pair has found some major resistance at the .9800 major psychological level as indicated by the very obvious pin bar. With the Stochastic turning lower, could this mean that the pair’s rally is over? That seems to be the case, so look for price to retrace its steps and possibly retest former lows at .9650. Speaking of bears, AUD/USD looks like is also going to turn lower. As you can see, AUD/USD has stalled right at former lows at 1.0750. If you’re part of the bear camp, this could be a good chance to jump in for a quick retracement play as the Stochastic is about to hit oversold territory. Watch out for those bearish reversal candlestick patterns, as they will serve as your confirmation to sell! Of course, I’m not going to leave the bulls hanging! I’ve got something for you too! 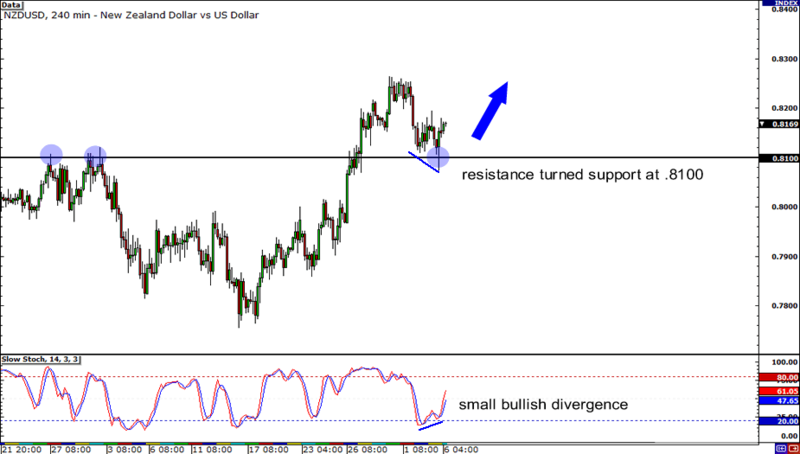 If you take a look at 4-hour chart of NZD/USD, you will see that price is diverging with the Stochastic. 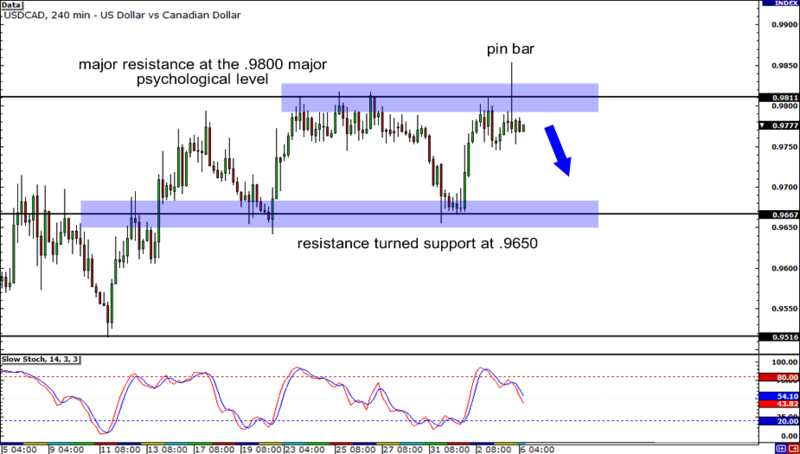 Price has made “lower lows” while the Stochastic has made “higher lows.” In addition to that, the pair found significant resistance at .8100, a major psychological level and a strong former resistance level. 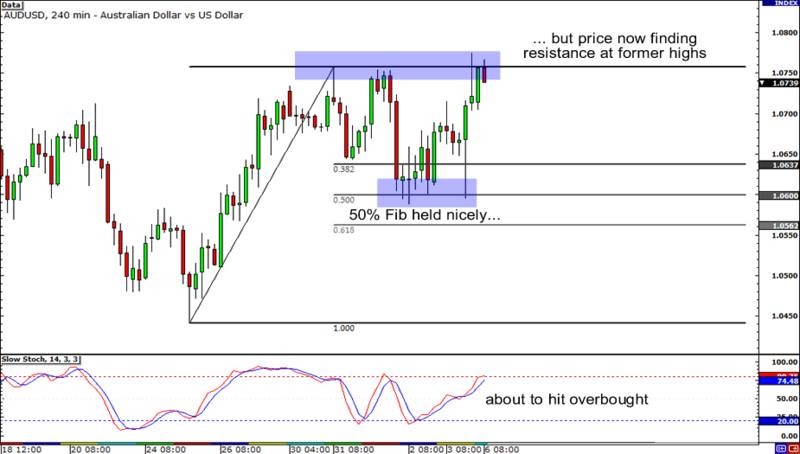 This could mean that NZD/USD is headed higher, possibly towards the .8200 and .8300 levels.